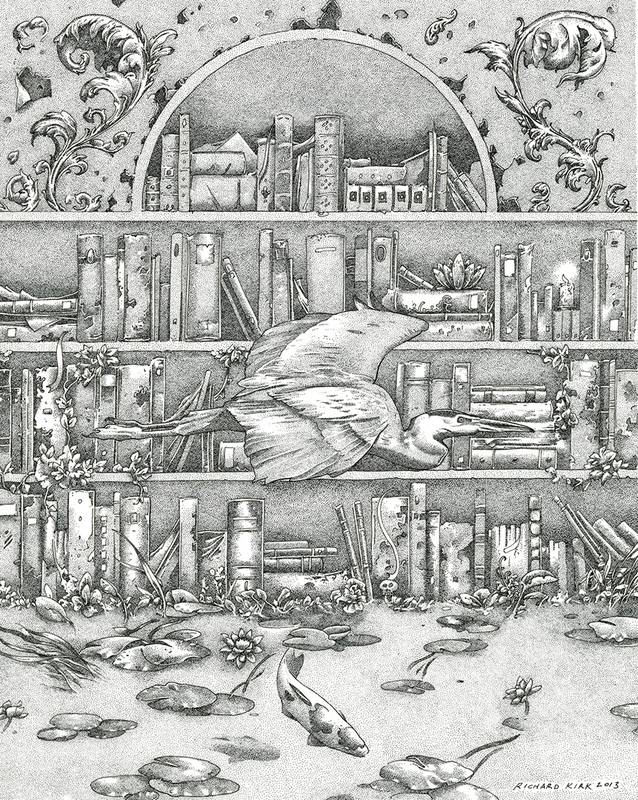 Tonight I am posting the completed drawing called The Drowned Library. It was done as a commission but I will be making prints of it in the very near future. The prints will be high quality giclee done on German Etching Paper. I will post more details in a few days. If you are interested, leave a comment or message me. Often when I am thinking of making a print, it is the feedback that is the determining factor. This is so completely beautiful and amazing – thank you so much for sharing this with all of us as it progressed, and now in its completion! I am absolutely awed and inspired by your work! Thanks for the kind words Susan. It is great to hear that the in progress shots are enjoyable!